Appealing an eviction case is a complicated subject. I could write for hours on the topic, and even then, would only cover the basics. Here, I want to offer two critical points for anyone appealing an eviction case: act quickly, and hire an attorney for your appeal. What is an Appeal? What Court Does it Go to? An appeal is a request for a higher court to review A trial court’s decision (the court where the eviction case was first brought). An appeal looks at whether the trial court judge made the right decisions in the case, and whether the matter should be sent back to the trial court (“remanded”) for another hearing or trial. An appeal, importantly, is not a “do over.” A party generally does not get to do their case all over again, in hopes that the appeals court will come out a different way. Rather, the appeals court looks at whether the trial court made any errors of law. This is an important things to keep in mind: even if you believe, strongly, that the trial court got its decision wrong, this may not be enough to win on appeal. Appeals for eviction cases, whether they be for standard landlord/tenant cases or post-foreclosure eviction matters, are brought in one of two courts. For eviction cases brought in the District Court, appeals go to the District Court Appellate Division. This is a court made up of other District Court judges, and hold hearings in different courthouses around the state. A decision from the Appellate Division can then be appealed to the Appeals Court. 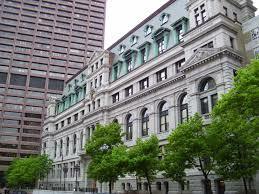 Eviction cases coming from the Housing Court or Superior Court go directly to the Appeals Court, which sits in Boston. The appeal rules for the Appellate Division and Appeals Court have some differences, but the process is generally the same. An appeal requires a party to prepare a brief, a written document (usually 40-50 pages) stating the reasons why the lower court was wrong. Depending on the case, the parties may have an opportunity to do an oral argument before the appellate judges, and state the reasons why the lower court was wrong. The appellate court will then issue a written decision, where the court will either agree or disagree with the lower court’s decision, and state what will happen next for the case (if anything). Anyone considering appealing an eviction case should follow the following pieces of advise closely. Hands down, the most important advice on the topic of appeals: act quickly. Unlike most other appeals, which allow a party thirty days to file a notice of appeal, a notice of appeal for an eviction case must be filed within ten days of the trial court’s entry of judgment. Moreover, several cases have held that the failure to comply with this deadline is grounds for dismissing an appeal . . . regardless of the circumstances. This suggests that even a showing of good cause is not enough to file a late notice of appeal for an eviction case. With this in mind, never, never take a chance of missing this deadline. If you do not have a lawyer, the clerk’s office can generally help you fill out a notice of appeal, a short form telling the court and other side that you plan to appeal. This advice, importantly, applies equally to both landlords and tenants/former homeowners: the failure to comply with this appeal deadline can be fatal to your case. The second piece of advice for appealing an eviction case is to get an attorney. I’m generally not a fan of advising people with legal matters to do cases on their own. Without a solid legal background, it is difficult for even the smartest pro se party to prevail in court. For appeals, it is near impossible. The rules of appellate procedure are a challenge for even experienced lawyers, and the many other complexities of appeals make this process a real challenge for even the best lawyers. If you find yourself involved in appealing an eviction case, don’t do it on your own. Speak to an experienced attorney about obtaining legal representation. This entry was posted in Massachusetts Foreclosure Law Blog, Massachusetts Landlord/Tenant Law Blog. Bookmark the permalink.